Any individual or legal entity, regardless of citizenship or residence, may apply for trademark registration independently or jointly in Ukraine according to the Law of Ukraine ‘On Protection of Marks for Goods and Services’ (the Law). Applicants from outside Ukraine can apply only if represented by certified trademark attorney, the official register of which is publicly accessible at the website of the responsible public authority (the Ministry of Economic Development and Trade of Ukraine). 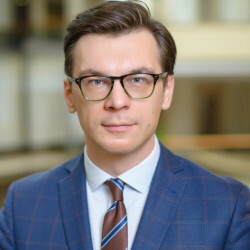 Exceptions to this rule may only be established in bilateral agreements: applicants from Russia, Belorussia and Georgia do not need to be represented by a Ukrainian trademark attorney before the intellectual property office in trademark registration matters. The law establishes no difference between a trademark for goods and service mark. Any sign or combination of signs capable of distinguishing goods or services is eligible for trademark protection according to the Law if no grounds for refusal are revealed during examination. The Law specifies further that words including proper names, letters, numbers, figurative elements, colours and colour combinations and any combination thereof are registrable. According to the Rules of Completing and Submitting Application for Mark for Goods and Services in Ukraine (the Rules), lights and sounds are added as eligible for trademark protection if the Ukrainian Intellectual Property Office is capable of publishing them in the trademark register. A few colour marks and a number of sound marks have been found in the trademark register. Once a trademark is registered, the holder obtains the exclusive right to use it in the course of commercial activity by labelling goods and while offering them for sale, as well as in business documents. The holder also has the exclusive right to authorise and prohibit use of the registered trademark. The above scope of rights is effective as of the date of filing. In Ukraine, only registered trademarks are protected under the Law. The sole exclusion is well-known (famous) trademarks, which are protected pursuant to article 6-bis of the Paris Convention without being registered in Ukraine if declared as such by the Appeal Chamber or court. Trademark registration timing usually depends on the particular case. From practical experience it takes 12-18 months to have a trademark certificate issued if no Office Action or preliminary refusal interrupts the process. Otherwise, an extra two to three months should be added for the applicant to prepare a written reply to the Office Action or preliminary refusal and to consider the examiner’s response. The official fee for trademark registration is 1,000 hryvnia (approximately €33) per class, regardless of number. Colour marks require an additional payment of 500 hryvnia (approximately €16.3), which is charged notwithstanding the classes chosen by the applicant. The accelerated procedure for registration takes about nine months and involves additional expenses for the applicant: the acceleration of one figurative trademark in one class would cost 9,396 hryvnia (approximately €310). Initially, trademark filing requires a signed power of attorney if the applicant wants to engage a proxy (trademark representative). Ukraine is a party to the Nice Agreement, so all applicants are recommended to use its groups of goods and services accordingly in the course of preparing trademark applications. The Ukrainian Intellectual Property Office (Ukrpatent) carries out the formal examination, where the completeness of filed application is to be verified. The substantive examination is aimed at revealing the absolute or relative grounds for refusal, if any. A sign may not be granted legal protection if it recreates or imitates state emblems or state symbols, flags, official names of states, emblems and abbreviated or full names of international intergovernmental organisations; certification marks; or awards and other distinctions of honour. Similarly, a mark is not eligible for protection if it is non-distinctive, descriptive, deceptive or generic, or recreates the natural form of the goods. geographical indications protected in Ukraine. Also, marks recreating protected industrial designs, copyrighted works without authorisation from the rights holder, or names and images of persons known in Ukraine without their consent may not be registered. An applicant may present to the Ukrpatent a letter of consent from the holder of an earlier trademark with the aim of registering the mark. However, such a document only permits the trademark to be registered and does not eliminate the risks of cancellation of a registered mark or antitrust regulator requests. 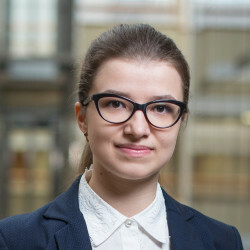 The related drawbacks are that the Ukrpatent is not obliged to consider such a letter to grant protection - even though having a letter of consent, the applicant may still receive a refusal. At the same time, the rights holder of the earlier registered mark may revoke the consent (eg, after trademark registration) and claim invalidation of the trademark. If the examiner suggests that any of the grounds for refusal prevent the mark from being registered, the applicant will be notified of provisional refusal. An applicant may object to the examiner’s arguments by submitting a written response. An applicant has the right to claim priority based on a trademark application filed in any Paris Union member state or the introduction of goods into the market if and only if the date thereof falls within a six-month period after registration. In Ukraine there is no requirement to ensure the use of a mark before filing. An applicant is free to use the mark whenever he or she wishes to. Hence, no proof of use needs to be submitted with a trademark application. However, if a mark is facing preliminary refusal based on lack of distinctiveness it is good to provide proof of use as a part of the argument in favour of acquired distinctiveness. Any third party may request the invalidation of a registered trademark if the mark has not been in use for a continuous three-year period. However, pursuant to the Association Agreement between the EU and Ukraine, the term of trademark non-use is five years. The respective changes to the law will follow. If an applicant does not agree with the final refusal of trademark registration it is possible to oppose such a refusal at the Appeal Chamber of the Ministry of Economic Development and Trade of Ukraine. The applicant may submit opposition against the refusal of trademark registration supported with relevant evidence within two months after acknowledging of refusal. The term of consideration of the opposition is two months; an extra two months may be added at the request of the applicant. The decision of the Appeal Chamber is not final, and may be challenged in court. The applicant must bring the action within a two-month period after receipt of the Appeal Chamber’s decision. In addition, the applicant is free to address the court directly if the final decision on trademark registration is not satisfiable. Trademark applications are published eight to ten weeks after payment of the filing fee, when the filing date is established. Any person may file a motivated opposition against a trademark application if there is a reason to believe that the mark does not comply with protection requirements. The opposition may be filed at any time, but not later than five days before the issuing of the final decision. The opposer is required to pay an official fee of 1,000 hryvnia (approximately €33) to submit the opposition to the trademark application. The party filing the opposition does not usually receive any feedback from the Ukrpatent or applicant. Such opposition is intended to draw the examiner’s attention to possible weaknesses of the mark. Further correspondence (ie, counter-arguments from the applicant) must be submitted to the Ukrpatent directly. It is possible for the owner of a famous foreign brand who has not registered a trademark in Ukraine to oppose a similar or identical trademark application registered in bad faith, referring to its misleading nature as to the manufacturer of goods, which is a ground for refusal according to the Law. Passing-off infringements are subject to unfair competition law, so remedies offered by unfair competition regulation are available to the rights owner. A registered trademark remains valid for 10 years since filing date. The trademark holder must pay a maintenance fee of 3,000 hryvnia (approximately €100) within a six-month period before the expiration date. However, if the trademark holder fails to do so, the maintenance fee together with an extra fee for delayed payment may be paid within six months after the expiration date. If no payment is received, even after the extra term, the trademark remains expired. At the same time, the holder of the expired trademark has the exclusive right to file a new application for the same mark for three years after expiration. No proof of use is needed to maintain the registration. The trademark holder has the right to certain specific remedies, such as a request for immediate preventive measures for protection of IP rights and securing evidence; suspension of customs formalities towards counterfeit goods; seizure and destruction of the counterfeit goods and devices and materials for their production; and statutory compensation as an alternative to damages (however, the amount is not specified in the Law, so courts refuse to apply this without certain legal guidance). Enforcement through the customs register is also available to the rights holder. Recording of a trademark in the customs register ensures that customs will check the goods during customs clearance and report if trademark infringement is detected, and if the rights holder alleges that trademark infringement has occurred, the customs formalities will be suspended for at least 10 days, or longer if the court so decides. There is no imperative rule as to the state recording of licences. However, a party to the licence agreement may announce that the mark is being licensed to the public by requesting a state recording and publishing note about the licence agreement concerning a particular trademark. Whereas there is a legal basis for recording, the Ukrpatent has no technical equipment for keeping records and no register of trademark licences has been created so far. Any registered trademark may be subject to assignment regardless of its economic value. The trademark holder is free to dispose of a mark as a whole as well as partially, for certain goods or services. The Law prohibits assigning a trademark if there is a possibility of misleading consumers as to the goods, service or the producer thereof. The assignment must be made in written form without any further formalities such as notarisation or legalisation. If a change in the holder of a registered trademark occurs, the Law requires a trademark assignment agreement to be registered with the Ukrpatent. Any party to the agreement may apply for the registration by providing all original copies of the assignment agreement and payment respective fee. The Ukrpatent keeps one copy of the agreement for the record. The registration proceeding must be carried out within two months after submitting the documents. The assignment agreement is valid and enforceable from the date of registration by the Ukrpatent. Security interests in intellectual property is a controversial matter, even in theory. There is no special regulation in this field. However, from a practical point of view, there have been a couple of cases where the trademark lien was enforced. The rights holder is free to inform the general public, including competitors and consumers, about ownership of a registered mark. The use of marking or other notice is not mandatory. There is no established form of marking: it can be either the symbol ® or a written notice (eg, ‘The X trademark is the sole property of the Y company’). Marking mainly serves to provide notice of the owner’s claim to the mark. Also, it may help a rights holder to ensure its rights in the trademark by avoiding descriptive use of the mark. Apart from the previously mentioned opposition proceeding, a trademark owner may enforce its rights via customs bodies. For this purpose, the rights holder must apply to enter the registered trademark into the customs register of IP objects. After having a trademark recorded in the customs register, the trademark owner obtains the right to cease customs clearance of goods bearing the respective trademark without authorisation for 10-day term, after the expiration of which owner must confirm that the respective claim has been filed against the importer of the counterfeit goods. Otherwise, the customs clearance must be renewed. The unauthorised use of a registered trademark if it causes damages of €574 or more is considered a criminal offence. A person who commits the crime may receive a fine of 17,000 hryvnia (approximately €554) to 34,000 hryvnia (approximately €1,110). In the course of ongoing judicial reform, the Higher Intellectual Property Court has been established. However, the procedure for selection of judges appears to be time-consuming, so its anticipated introduction into the national IP system and judicial system is only on paper so far. It is hoped that all judges will be selected, and the court will begin to consider IP disputes in 2019. Cases dealing with trademark infringement are currently considered by the rules of commercial procedure or civil procedure. The procedural measures available to the parties are very similar. The trademark owner may apply to secure evidence before filing the claim itself if there is reasonable belief that certain evidence could be destroyed, or that it will be difficult to present the evidence during the court proceeding. Documents related to the future process may be discovered by this means. The procedure may also be applied to witness testimony, forensic examination and the obligation to undertake or withhold particular actions. Securing evidence is not mandatory. Witness testimony as evidence was introduced to the commercial procedural code at the end of 2017. A forensic examination report is traditional evidence widely used in IP disputes, as the court usually has no specific knowledge of the fields required to judge the case. Hopefully, with the inception of the Higher Intellectual Property Court, this procedural option will be used less often, due to the judges’ IP expertise. In criminal procedures the authorities decide whether the activities of alleged infringer are sufficient to be treated as a criminal offence. If this is the case, the authorities will bring the case to the court. In court proceedings, each party must support its claims with evidence. So, in trademark infringement the claimant needs to prove that defendant did use the registered mark in the infringement cases. In dilution cases the claimant must prove that the likelihood of confusion exists between its trademark and the defendant’s trademark, or that the use of the mark for unrelated goods or services weakens the ability to identify goods with the genuine trademark in free-riding cases. The trademark owner has the right to protect the trademark in its entirety. The licensee may bring an action only if he or she has a mandate from the rights owner. The rule applies to all proceedings, including criminal complaints. As a rule, foreign activities cannot be accepted as evidence of trademark infringement or dilution in Ukraine. At the same time, however, activities outside Ukraine that lead to legal consequences within Ukraine (eg, the counterfeit goods are produced abroad and localised or imported to Ukraine only) may be considered as an infringement of trademark registration in Ukraine. A customs seizure may also be enforced (see question 18). The claimant may request the court to secure the evidence before the court proceeding if the requested evidence is at risk (see question 19). Also, the court may be requested to take evidence during the court proceeding if the claimant proves that it has used all possible options to obtain it and the evidence is of legal interest in the case. The court must consider a motion requesting the securing of evidence in the hearing, in which the court may order the adversary party to present documents to the attention of the court (and other parties), to provide written witness testimony and to question witnesses or parties in the court hearing. The court proceeding in commercial cases lasts 90 days, with the option of an extra 60 days. However, numerous postponements of court hearings, the time needed for forensic examination (experts are usually overloaded, so it takes couple of months to get the forensic examination report) substantially increase the term of case consideration. Typically, IP cases are considered in the first instance within six to eight months. A considerable number of cases in Ukraine go to appeal or cassation, so the time to obtain the final decision increases respectively by an extra 65 days (appeal) and 70 days (cassation). The timing also depends on the defendant’s responsiveness and willingness to participate in the action. In total, the time frame for one case may reach up to three years. The preliminary injunction timing is more certain: the ex parte application for preliminary injunction is usually considered within the terms established by the procedural code (ie, two days after filing the application). Litigation costs consist of the court fee and other related costs, including the attorney’s fee, witness relocation costs, costs of forensic examination etc. The court fee is calculated based on the claim amount, but should not exceed the minimum and maximum established by the respective regulation: the range is from 1,762 hryvnia (approximately €58) to 616,700 hryvnia (approximately €20,085). Attorneys’ fees are very variable and are calculated on a case-to-case basis, depending on the complexity of the case and the resources needed to provide effective representation of the party’s interests. The court may order the litigation costs of the prevailing party to be recovered from the other party (the court fee and a reasonably motivated amount of the attorney’s fee etc). Should the court reach a partial decision the litigation costs must be split between the parties respectively. Nowadays a party may appeal the decision to the Court of Appeal, either civil or commercial. Appeal courts review the decisions of the courts of first instance located within the relevant appellate district. In turn, the decision of the Court of Appeal can be challenged in the Supreme Court. The decision of the Supreme Court is final. However, the expected Higher Intellectual Property Court will consider IP cases as a court of first instance as well as an appeal instance. For this purpose, the Appeal Chamber will be formed within the court. The decision of the Appeal Chamber similarly may be challenged in the Supreme Court. The defendant has the right to participate in the proceeding by responding to the claim and submitting evidence. The defendant may also argue that the claimant has not submitted sufficient evidence of infringement. Additionally, the defendant may refer to the absence of likelihood of confusion, prior rights, non-commercial use, trademark exhaustion etc. The Law states that a third party may ask for the cancellation of the trademark based on the absence of genuine use during the past three years or on the fact that it has become generic. The infringed party is free to use one of the following remedies: seizure of counterfeit as well as materials and equipment used for its manufacturing, and destruction of such counterfeit; the publication of information in the mass media about the infringement of the intellectual property rights and the content of the court decision regarding such infringement; damage recovery; and removal of the illegally used trademark from goods. Also, the claimant may request an injunction against the infringer; immediate preventive measures for the protection of IP rights and securing evidence; suspension of customs formalities towards counterfeit goods; and seizure and ravage of the counterfeit goods and devices, and materials for its production etc. Injunctive relief applies if the non-use of such measures can significantly impede or prevent the execution of a court decision or effective protection or restoration of the rights of the claimant or the challenged rights or interests of the claimant. In criminal proceedings an offender may be ordered to pay a fine from 17,000 hryvnia (approximately €554) to 34,000 hryvnia (approximately €1,110). ADR techniques are not popular in Ukraine. However, recently introduced procedural codes (both civil and commercial) contain a procedure called court mediation. Before the court reviews the merits of the case, each party may request court mediation. In this case the judge must take the part of mediator and participate in the negotiation, leading to amicable settlement of the case. The most popular out of court measure is the cease-and-desist letter, which, however, is not legally enforceable until the matter is brought to court. The Paris Convention grants protection for well-known foreign trademarks. The Law states that the trademark is recognised as well known by the Appeals Chamber or by the court. The trademark must be perceived as well known in Ukraine. The rights holder must present proof of recognition of the trademark by customers; the duration, volume and geographic area of use and promotion of the trademark by the rights holder; records confirming foreign registrations of the trademark; and information about the recognition of the trademark as well known in other jurisdictions. Well-known foreign trademarks, after being declared by the respective body as such, are granted the same scope of protection as a registered trademark in Ukraine without any further formalities. Ukraine is facing a major change in its IP system. The proposed changes are currently subject to public discussion. The most discussed issue relating to trademarks is the exhaustion regime.